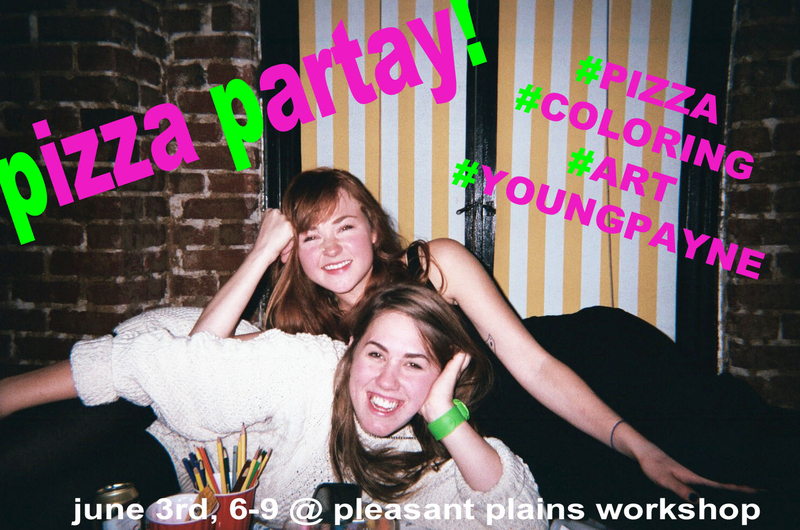 Join YoungPayne for a Pizza Partay on Tues 6/3! Missed the opening? Then come joine us and continue the coloring collaboration over some pizza (and probably more candy) with YOUNGPAYNE at PPW on Tuesday evening from 6-9pm. Materials provided, just bring yourself!